Blinkbonnie Equestrian Centre (BEC) is a horse riding school offering Private Lessons, On-Property Horse Leases and the Young Horse Program. We are also the proud owners of Linbil White Russian, a performance stallion. At Blinkbonnie we aim to provide a holistic and horse-centric approach to riding and training. Through our Private Lessons we teach both ridden and in-hand techniques. Focus is on the rider’s position and technical knowledge as well as teaching a systematic approach to the refinement of the rider's aids. With respect of the individual horse at its heart this approach is a logical and progressive method of horse training encompassing flexibility, mobility and collection within straightness, riders are taught how to achieve the best results from any given horse. Through our unique On-Property Lease program we provide the chance to try horse ownership. With a minimum lease term of six months this is designed to suit riders thinking of owning their first horse, riders returning to horse ownership after a long absence or riders who are too busy with family or career to manage full time horse care responsibilities. In addition to regular riding and in-hand lessons On-Property Lease participants will be taught all aspects of horse care. 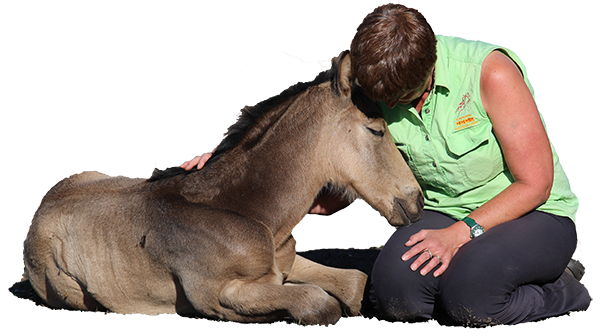 In the Young Horse Program owners have the chance to buy a Blinkbonnie young horse and participate in the raising of the youngster under Blinkbonnie guidance. Foals will be available from conception onwards with the possibility of buying at 45day scan through to birth, weaning or thereafter. Our stallion Linbil White Russian is also available to outside mares. With his lovely nature and talent he is the ideal sire of all-rounder horses suited to the intermediate riders. Copyright © 2018 Blinkbonnie Equestian Centre. | Designed & Hosted by Design Shore Technologies Australia Pty Ltd.